gallery photo posted by mattcrum Welcome to kingsnake.com's Crested Gecko Classifieds. This section is for posting wanted and for sale advertisements for any and all color phases and morphs of Rhacodactylus. If you are looking for, or want to post ads for, other types of geckos, or other reptiles and amphibians and supplies please review our classified index for the appropriate category. The Crested Gecko, Rhacodactylus ciliatus, is a species of gecko native to southern New Caledonia thought extinct until it was rediscovered in 1994. Primarily nocturnal, they will generally spend the daylight hours sleeping in a secure hide close to, or on the ground. 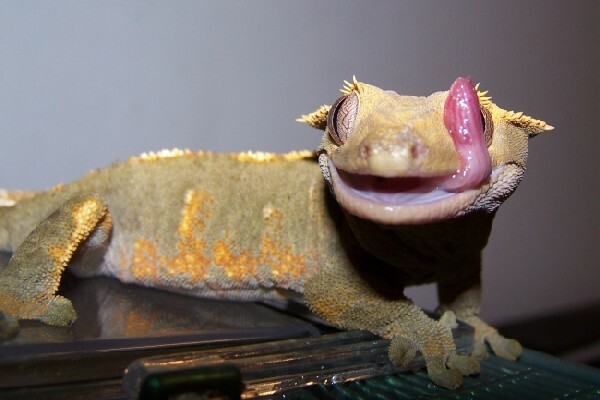 For questions on keeping or breeding Crested Geckos please check out the Crested Gecko Forum, or to look at photos uploaded by users or to upload your own, check out the Crested Gecko Photo Gallery. 04/25/19 Baby Mainland Chahoua Geckos Miami, FL, US Shipping Only! 04/25/19 Baby High End Crested Geckos (Pins, Extreme Harleys, Red Dalmatians, and more!) Miami, FL, US Shipping Only!